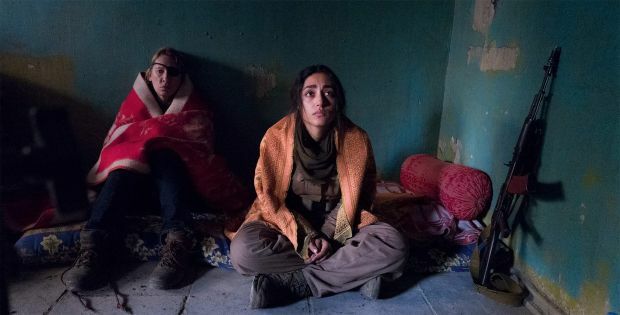 In the film Girls of the Sun (Les Filles du Soleil), somewhere in Kurdistan, Bahar, commander of the “Girls of the Sun” battalion, is preparing to liberate her hometown from the hands of extremists, hoping to find her son who is held hostage. 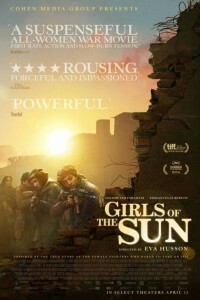 A French journalist, Mathilde, comes to cover the attack and bear witness to the story of these exceptional warriors. 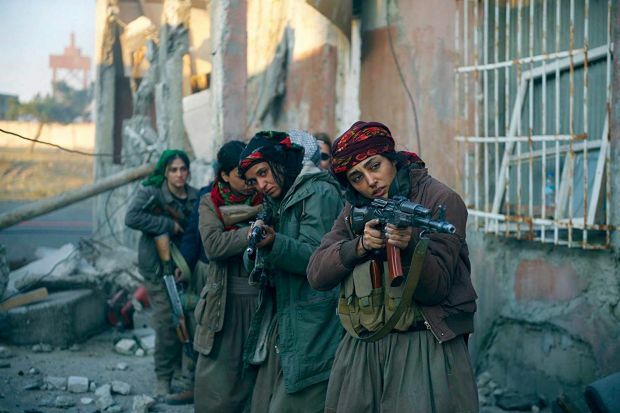 Since their lives have been turned upside down, they have all been fighting for the same cause: Women, Life, Liberty.